Provide comfort for the family of Frances Breitner with a meaningful gesture of sympathy. Frances Potter Breitner died quietly at home in Cave Creek, Arizona on February 12, 2019 at the age of 96. Frances was born to Harriett Ferril Potter and George L. Potter on July 29, 1922 in Lafayette, Indiana, attending Tudor Hall at Indianapolis and Beaver College, a New York art school. After a life-changing accident Frances became an occupational therapist, finishing her training in Hawaii before moving to Arizona in 1954 where she worked at the Arizona State Hospital in Phoenix. The following year she married Carl Breitner, MD, a staff psychiatrist at the hospital and in 1957 they moved to Military Road in Cave Creek. Dr. Breitner died on February 16, 1975 at the age of 73. 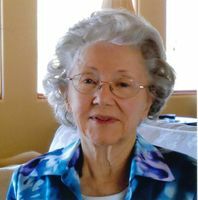 Fran was an active member of the Cave Creek community for many years, a founding member of the Desert Hills Presbyterian Church, an avid golfer and talented water colorist who spent her summers at the family cottage in Leland, Michigan. Fran’s passion for horses and sailing never abated. She is survived by her stepchildren, Ms. Bina Breitner and Dr. John Breitner and wife Leslie, her nephews, David H. Roach and George P. Roach and wife Hilda, her great nephews, George P. Roach and Cameron Breitner, her great nieces, Jordan F. Knox and Bronwyn Breitner, her great-great nephew, Cordell L. Knox and Cameron and Bronwyn’s mother, Wendy Breitner and husband Kenneth Kirshenbaum. The family would like to mention its appreciation for Ms. Dora Hatch who was there to hold Fran’s hand at the end. A memorial service will be held at the Desert Hills Presbyterian Church, 34605 N. Tom Darlington Road, Scottsdale on Monday, February 25th at 7 p.m. Details will follow regarding services to take place in the Desert Hills Memorial Garden and at the Potter family plot in Lafayette, Indiana. To send flowers in memory of Frances Potter Breitner , please visit our Heartfelt Sympathies Store.